Date: Feb 23 2019, 2 p.m. - 3 p.m.
Child Range Orientation Class is offered at the Fort Bliss Rod and Gub Club for children ages 6-17. 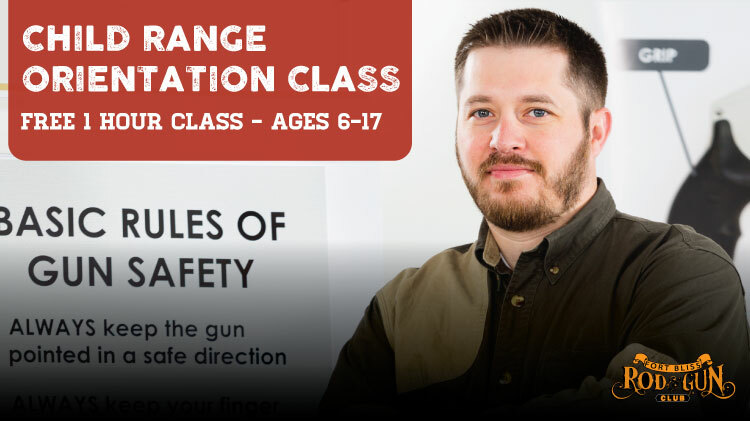 This is a required class for children to accompany parents or guardians on Rod & Gun Club live ranges. It is a FREE one hour class. During class children must be accompanied by a legal parent / guardian.